The South African Social Security Agency’s incompetence will see some 5.4 million social grant beneficiaries who receive their grants using the Sassa card coughing up R10 in bank charges to Grindrod Bank, which will score a windfall of R54-million in April alone. Meanwhile, Net1/CPS has responded that the company cannot be prejudiced because of “shortcomings” in Sassa’s processes with regard to repaying R316-million to Treasury for “additional registrations” conducted in 2013. By MARIANNE THAMM. The situation has arisen because there is no contract between Sassa and Grindrod Bank, which provides banking services to Sassa, while Sassa transfers beneficiaries from the Grindrod account to South African Post Office PostBank Accounts. On Wednesday, ANC chair of the portfolio committee for social development, Zoleka Capa, expressed displeasure that beneficiaries would be saddled with the cost. 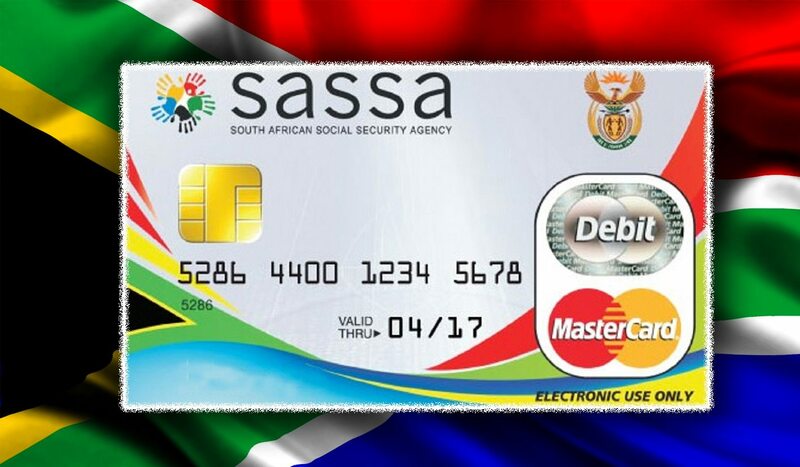 On Wednesday Sassa’s General Manager, Dianne Dunkerley, assured the committee that grants would be paid electronically from 1 April while cash payments would be made from 3 April at CPS pay points subsequent to the Constitutional Court’s extension of the CPS contract for six months. Dunkerley said the agency had been given clearance from the Reserve Bank to pay directly from the Sassa account to Grindrod bank accounts for the next three months, which means Grindrod stands to make R162-million. During the 5 March application by Sassa to the Constitutional Court to extend CPS’s contract to disburse cash grant payments to some 2.8 million beneficiaries, Net1 revealed, for the first time, the losses it might incur should Sassa continue to pay the same fee (R16.44 per beneficiary) for the additional six months. In an answering affidavit to the court, CPS said it would operate at a loss of at least R70-million a month or R420-million for six months if the fee remained the same. CPS did not reveal its preferred fee for the extended contract but had asked Treasury to determine this. The revelation by Net1/CPS leads to questions then with regard to another court ruling handed down by the North Gauteng High Court that CPS refund the R316-million (plus interest) that it has been paid by Sassa for the apparent registration of “additional beneficiaries” over and above the total agreed to with Sassa in 2012. The application was brought by Corruption Watch. On 23 March Judge Moroa Tsoka found that Sassa’s Bid Adjudication Committee did not authorise the variation agreement and that the approval in 2014 after the services had already been rendered made it unlawful. “It is just and equitable that the payment of R316,447,361.41 made by Sassa to CPS, together with interest, be returned to the fiscus for the benefit of those for whom it was intended in the first place,” said Judge Tsoka. CPS told the court that there had been nothing untoward about the variation of the contract as its initial price had been based on re-registering over 9 million adult beneficiaries, but did not make provision for the re-registration of some 12 million children. However, in Net1/CPS’s certified quarterly report for the period ended 30 September 2012 to the US Securities and Exchange Commission and lodged before the apparent “variation agreement” used as the basis of the payment of the R316-million, CPS set out the process it had undertaken for Sassa. “We commenced the second phase of the enrolment process in early July 2012 and plan to be substantially complete by March 2013, in accordance with the enrolment plan agreed with Sassa. Under our agreement with Sassa, we have to enrol both the grant recipients (those individuals who receive the actual payment and are issued with our UEPS/EMV smart card), as well as the grant beneficiaries (those individuals who have qualified for the social grant, but are not necessarily the recipient of the grant). “By way of example, a parent who has three children and receives a grant for all three children is the grant recipient, while the three children are each classified individually as grant beneficiaries. In this case, we capture the personal and biometric information of the parent and three children, but only the parent is issued with an UEPS/EMV smart card. Net1 goes on to state that in order to complete the second phase of the implementation on time, and given the significantly higher number of beneficiaries, it had increased the number of temporary employees from 2,500 to 5,500. The company adds that the number of temporary employees it hired had been significantly more than the 2,500 it had previously expected “as the actual number of individuals (grant recipients plus grant beneficiaries) that Sassa has asked us to enrol has increased substantially and is currently estimated at 21.6 million, which is approximately 40% higher than the number originally anticipated”. Net1 reported that it did not receive “additional compensation for the enrolment of grant beneficiaries who are not otherwise grant recipients because the pricing under our Sassa contract is based on the number of grant recipients we pay, rather than the number of grant beneficiaries”. From its own report Net1 sets out that it was well aware, at the start, that the number of beneficiaries would be considerably more than 9 million. Net1 is appealing the judgment. In a statement Net1 said CPS had agreed to a request by Sassa and had “performed approximately 11 million additional registrations beyond those that it tendered to register for the quoted service fee. Accordingly, CPS claimed a cost recovery from Sassa, supported by a factual findings certificate from an independent auditing firm. Sassa agreed to pay CPS the ZAR277-million as full settlement of the additional costs incurred by CPS”. This statement, however, contradicts Net1’s own certified report to the US Securities and Exchange Commission where it flat-out states that it was not contractually entitled to any additional compensation. “We are disappointed with the court’s judgment and will immediately seek leave to appeal,” Kotze was quoted as saying in the statement. “The additional registrations we performed at Sassa’s request resulted in the identification and removal of a significant number of ghost beneficiaries and duplicate grants, and had the direct result of saving the South African government more than R2-billion per year for the last five years. The cost incurred for the additional registrations was recovered without any profit component (emphasis Daily Maverick). CPS performed the work requested by Sassa on a bona-fide basis (emphasis Daily Maverick) and it is unfortunate that it once again finds itself being prejudiced by apparent shortcomings in Sassa’s processes,” said Kotze. Earlier this week Daily Maverick asked Net1/CPS how, considering CPS’s only income would be from the cash payments of social grants for the next six months, the company would pay back the R316-million with interest to Treasury should it lose the appeal. Crunching available numbers indicates that the principle judgment debt of R316,447,361 added to a prescribed interest rate (SARB and repo + 3.5%) of 10% and taking the payment date of June 14 to 26 March 2018 (when we did our calculations) into account would amount to a total judgment debt of R439,970,205. Converted into US dollars this would amount to around $37,636,459. Net1’s working capital as at 31 December 2017 was recorded as $167,385,000 which would render the judgment debt ($37,636,459) a significant 22.48% of Net1’s working capital. Net1’s reply was that it could not “speculate” on the repayment “at this point”. This would also depend, it said, on “how long it will take for the courts to hear the case”. Net1 claimed that the cost incurred for the additional registrations had been recovered “without any profit component”.